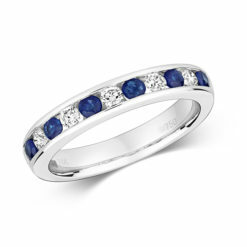 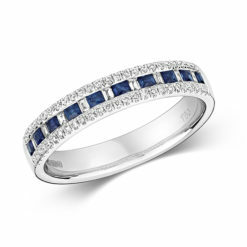 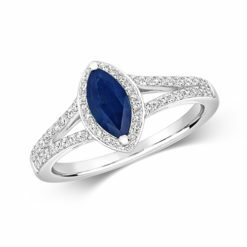 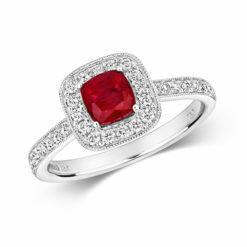 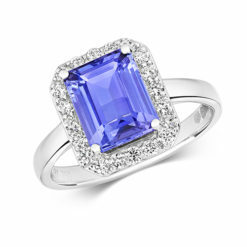 Our three row gemstone band is the epitome of our dedication to you. Round brilliant cut diamonds are individually held by flour claws, allowing maximum scintillation and sparkle. 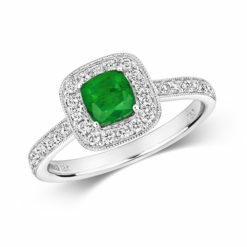 The contrast between bright white diamonds and rich, dark green emeralds truly are amazing.